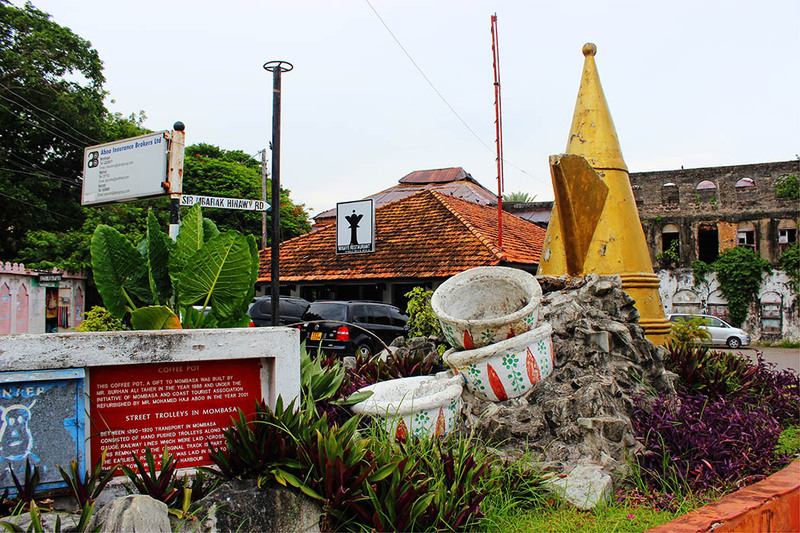 At the entrance of the old town is a coffee pot and cup, a gift to Mombasa which was built by Mr Burhan Ali Taher in 1988. Next to the coffee pot there is a remnant of the original trolley track which was laid in 1890. 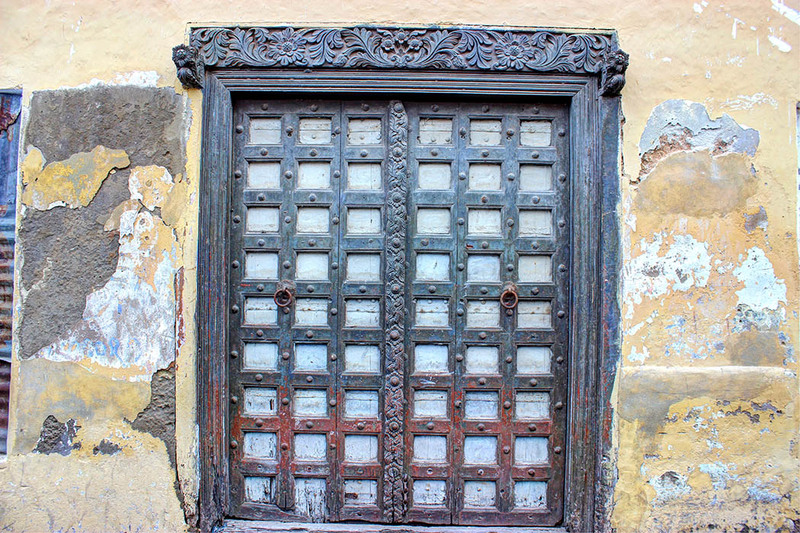 One thing that you are sure to notice while walking through Old Town is the carved doors. 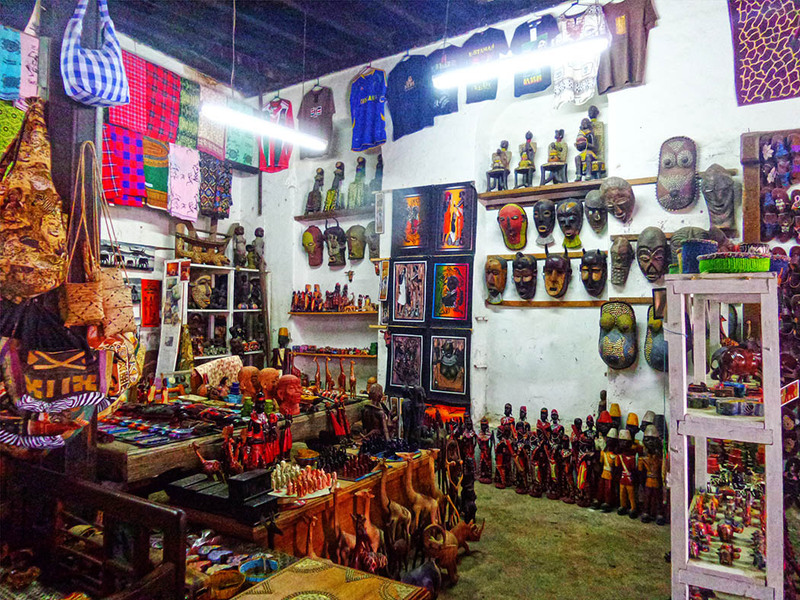 As time went on and with booming trade especially in the 19th century wood carving emerged as a symbol of Swahili art in the decoration of doors and other domestic items. 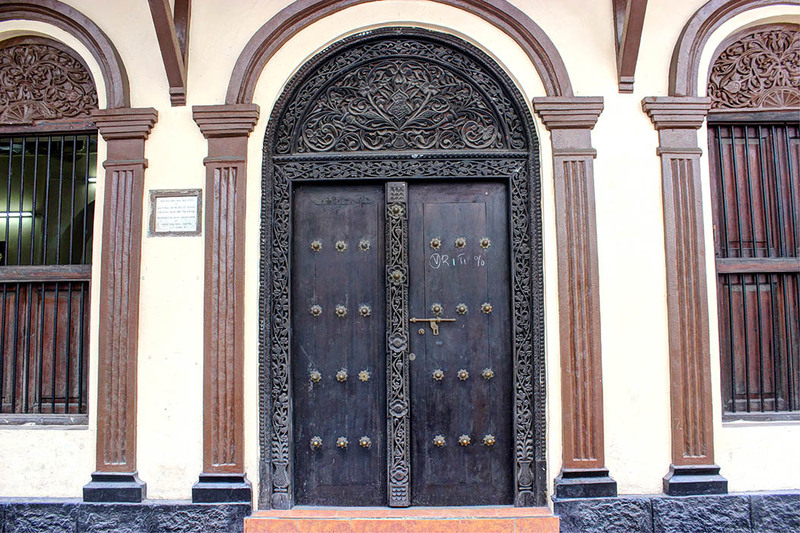 It became fashionable to fit every elegant building with a carved door. The name could simply come from the color of its paint or maybe because it housed the first American Consulate. 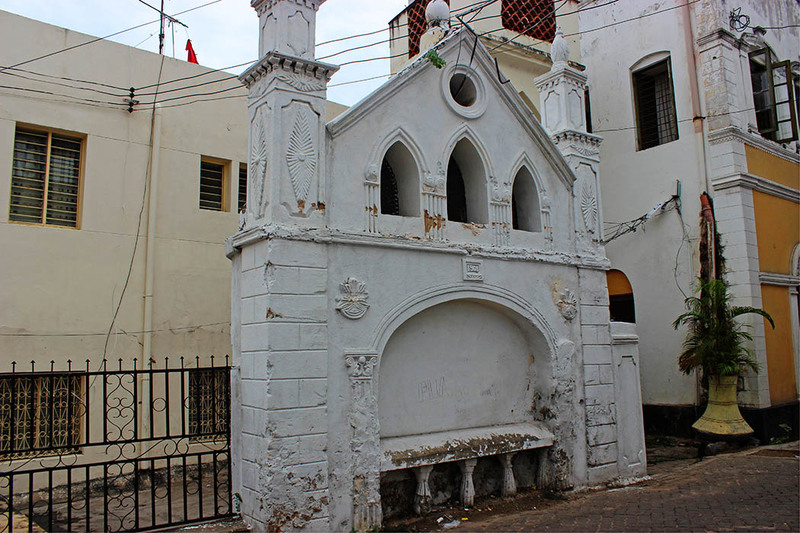 The White House was built towards the end of the 18th century by Esmailji Jeevanjee, a Bohra Indian. It was rented to the Church Missionary Society as a “Ladies House” for unmarried lady missionaries or nuns from1893 to1904. By 1909, the building was used as the premises of an American firm known as Arnold Cheyney dealing in ivory. It then became the first American Consulate in Kenya from 1915 to 1918. It had a very fine carved door that has been removed from the house and sold. 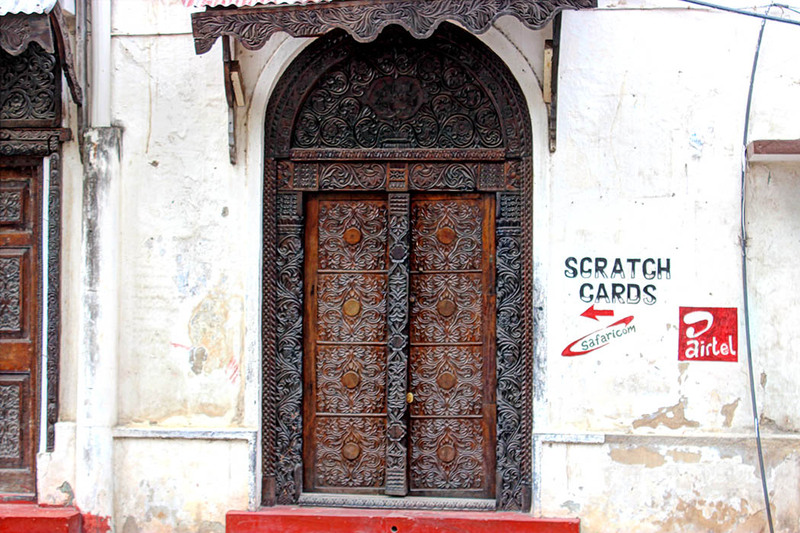 The present doors and windows are carved in a Zanzibar style with wealthy vegetal designs. 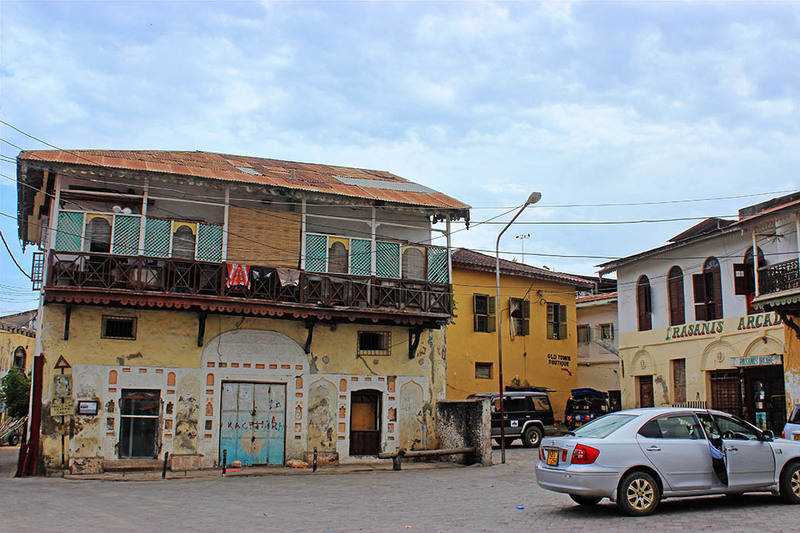 This building is a good example of the Mombasa architecture with covered balconies on the front and back sides supported by wooden brackets. The elevation is also adorned with arched doors and windows surrounded by a rich plaster work decoration. Government Square was one of the most important public spaces because of its location adjacent to the Old Port. 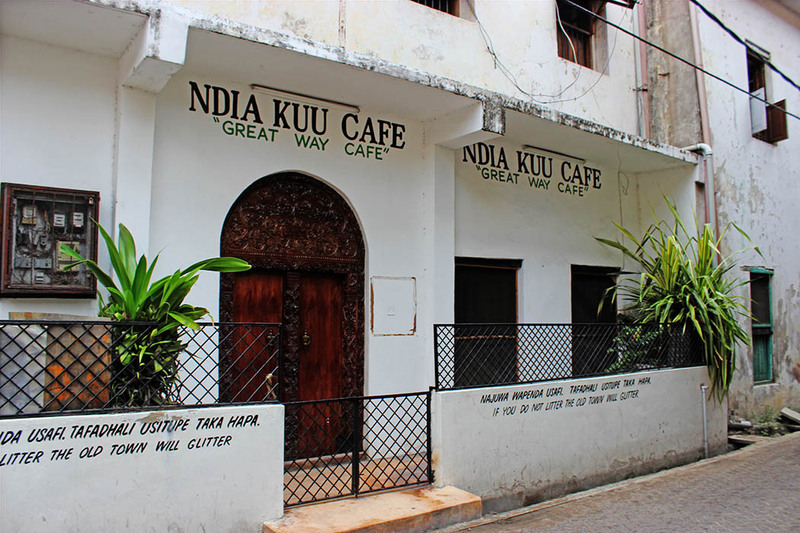 Historically, it has served as the center of business and commerce in Mombasa for many years. In 1890 when the British arrived they set up most of their government buildings here because of the flourishing character of the port area, thereby giving the square its name. ready for shipment or distribution around the town by mkotokeni (handcart), donkey backpack or camel. 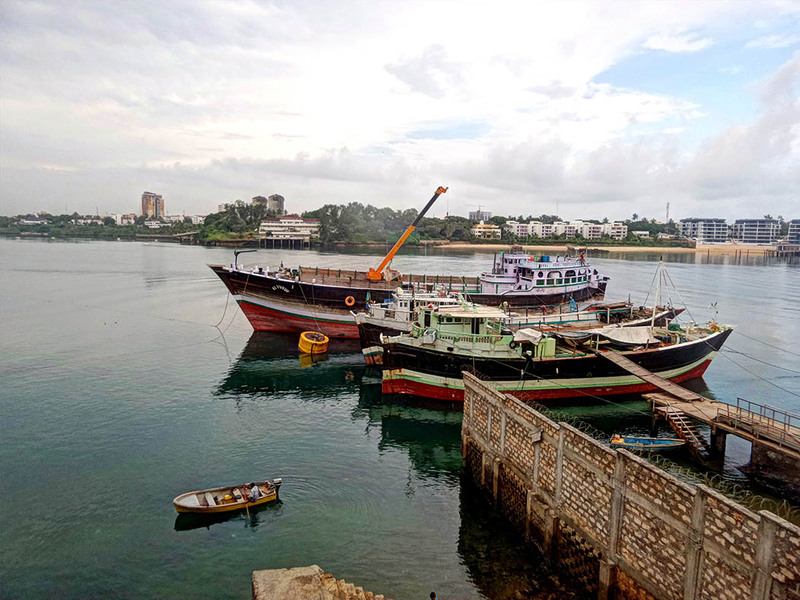 With the emergence of Kilindini port, Government Square began to loose its importance: the buildings were shifted to Treasury Square located on the road to Kilindini and many businesses associated with the shipping industry followed. 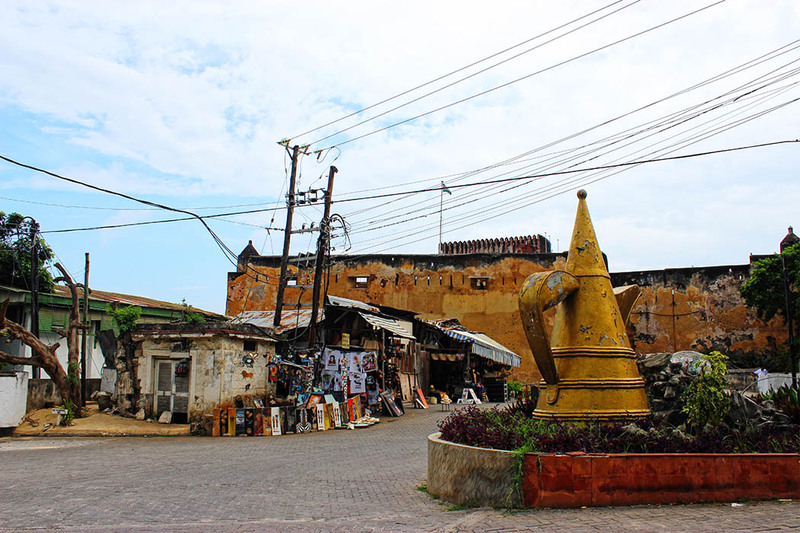 Government Square is surrounded by buildings of historical and architectural value, they were owned once, by some of the most influential merchants of the Old Town. 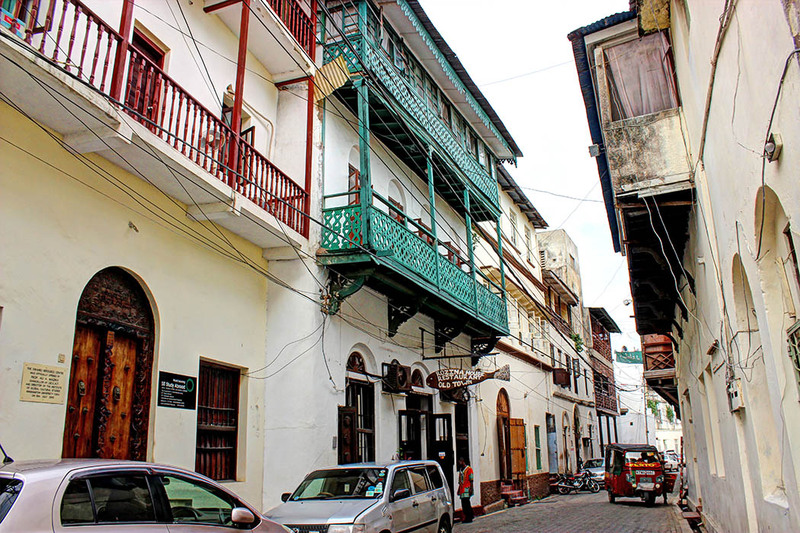 The Sanaa Gallery was in the past the main office of AlidinaVisram a successful Ismaili merchant who came from Bagamoyo in Tanzania in 1898. This man did much to build up the commercial life in Kenya. Indeed, he had a chain of offices stretching through Uganda and employed 500 Indian clerks, carpenters and masons. He provisioned labor force for railway building owned a soda factory, furniture factory and ginning factory. As shown on the photograph, he was also actively involved in the exportation of Ivory. 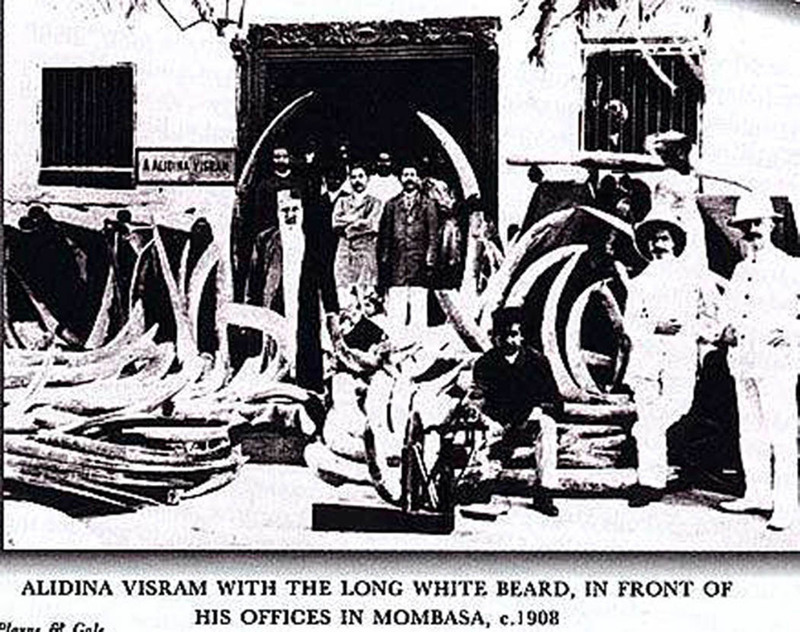 Alongside the Ivory and cotton business, Visram established several mosques and charities. His son Abdul Rasul built the Allidina Visram School as a homage to his father. 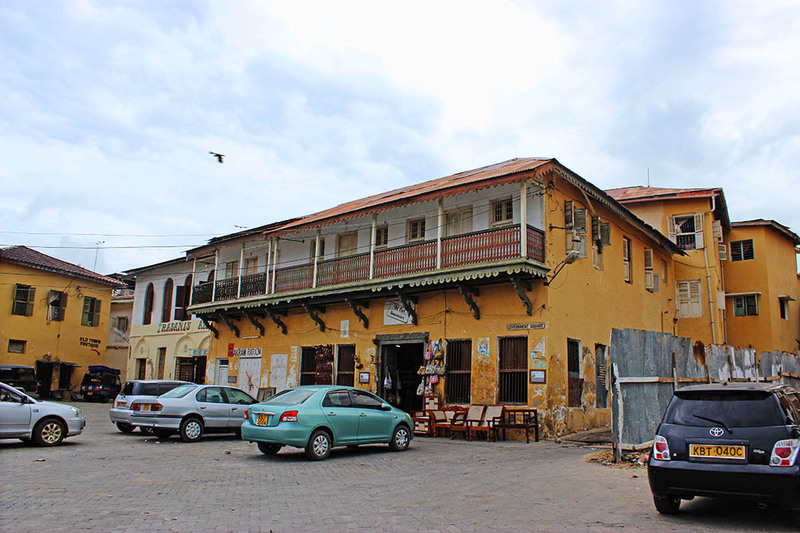 This building also housed in 1904 the East Africa and Uganda Transport offices, a parcel post office and a branch of the National Bank of India at post were also here for a short while in 1899. 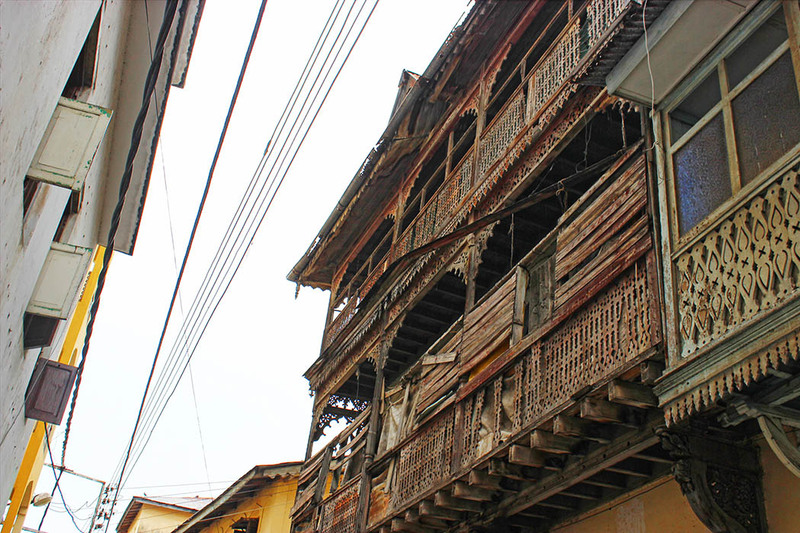 This building is a Traditional House type with a carved balcony supported by carved brackets and covered with a wooden exterior. 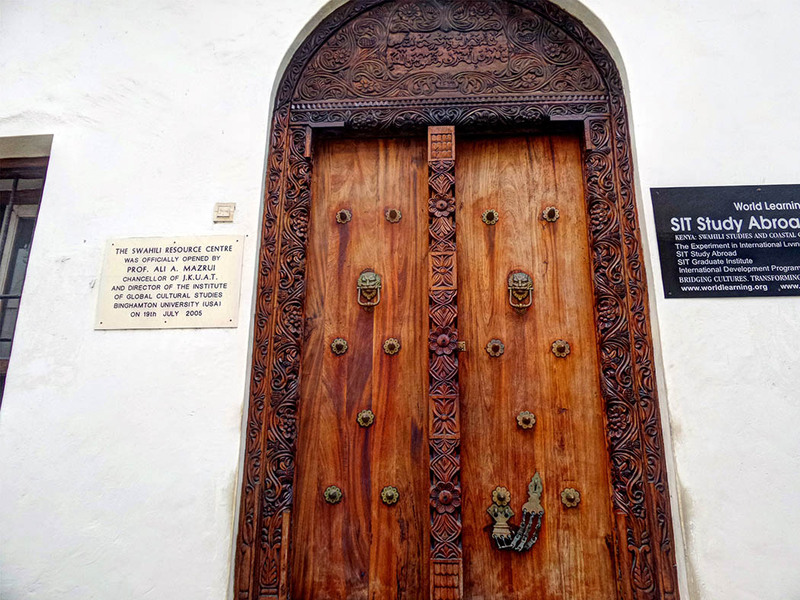 The door in the middle of the facade reveals Indian influence it was probably carved in the 1900’s, coffered and with a lintel carved with a flowing naturalistic design of leaves and fruits. 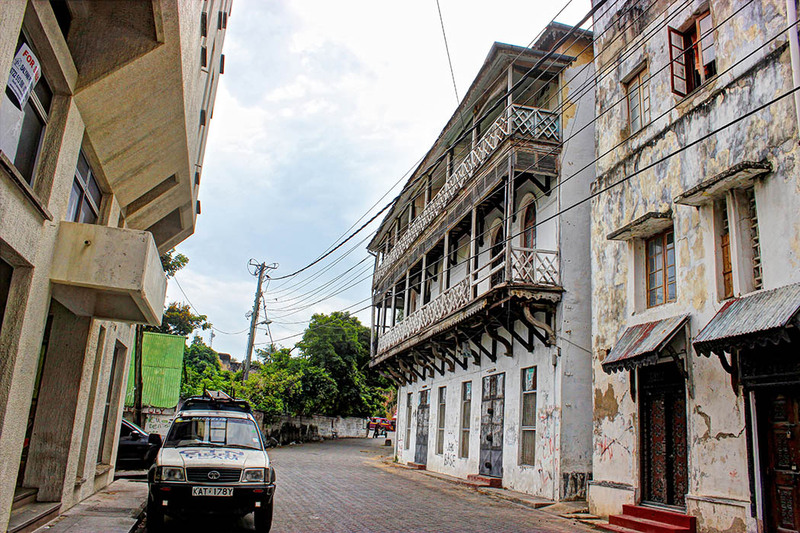 Mombasa House was built around 1880 by a former customs master to the Sultan of Zanzibar named Mr.Jadewji Dewje a member of the Bhatia Indian community, who was also a grain merchant. 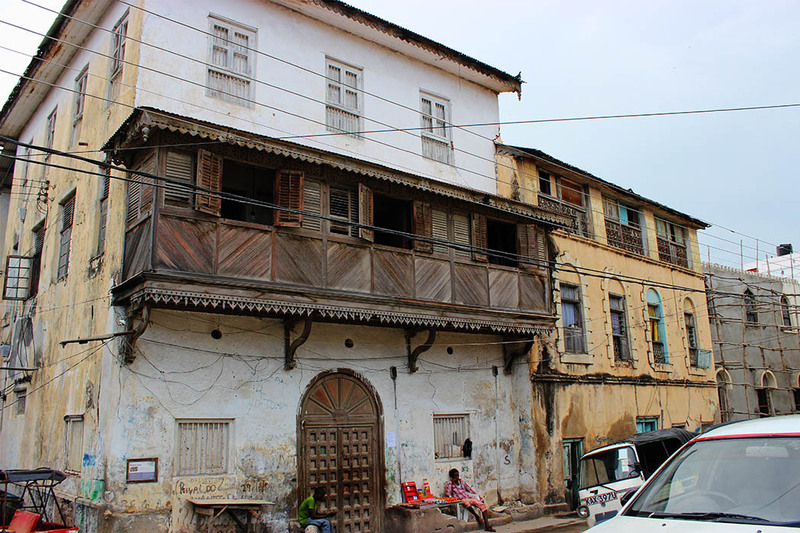 This is a fine example of a two-storey Mombasa Traditional House with a fine carved door at the ground floor and an impressive closed balcony at the first floor. 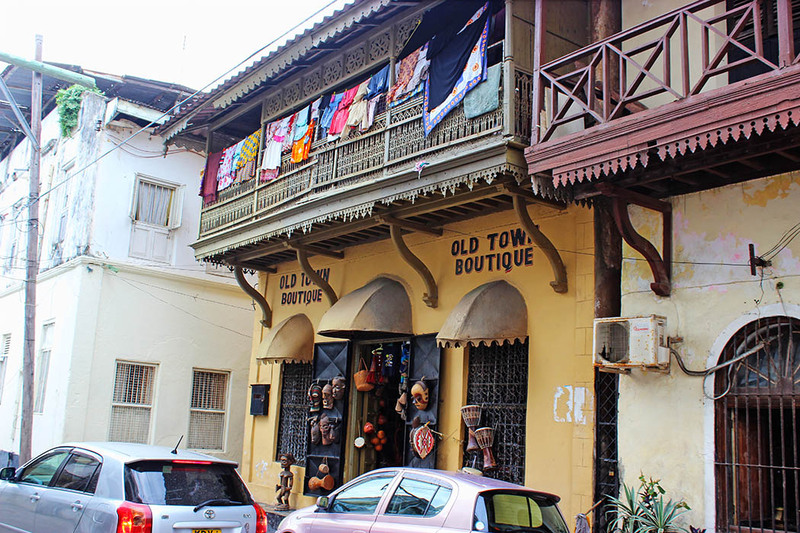 Mombasa has only a few closed balconies as well preserved as this one, which still display all their delicately carved decoration patterns. The lower part of the balcony is enclosed by a balustrade of wooden boards assembled in geometrical patterns, while the upper part is made of mobile wooden shutters with lattice. The balcony is supported by carved wooden brackets of Indian influence its function is to preserve the intimacy of the family notably for the women who should remain hidden from the public view in accordance with the Islamic practices. The closed balcony allows however the air to penetrate into the house for the comfort of its inhabitants. Today the house is virtually unchanged and still being occupied by descendants of Jadewji Dewi. The clients were however complaining about the lack of cleanliness in the area. Robert Foran, who later became the chief of police, said when he stayed here in 1904 that “there was a smell of rancid ghee, curry and other offensive odours of unsanitary drains earth closets, decaying fish and unwashed humanity” (in A cuckoo in Kenya). There were two other hotels at this time in Mombasa: the Grand and the Cecil. Then it was bought by Souza Junior and Diaz and became a grocery and tailoring business. 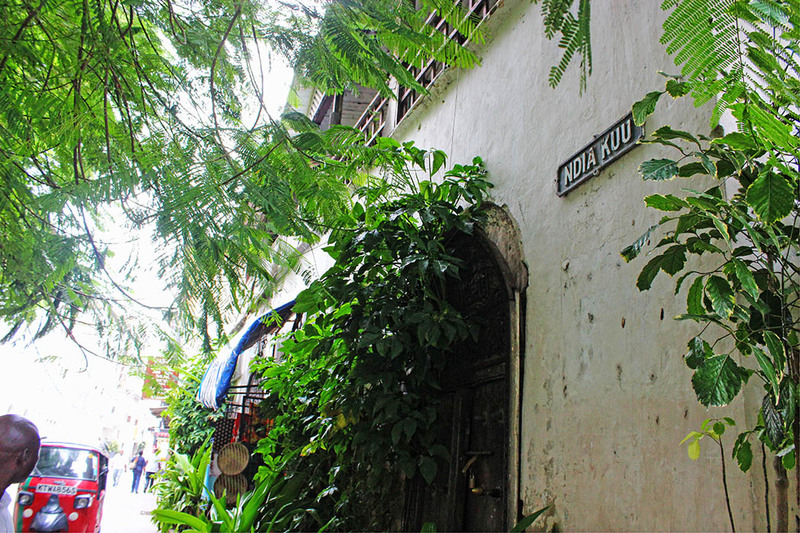 During this period , the Portuguese and the German consuls were living nearby and the French Consul lived at Dalal House. 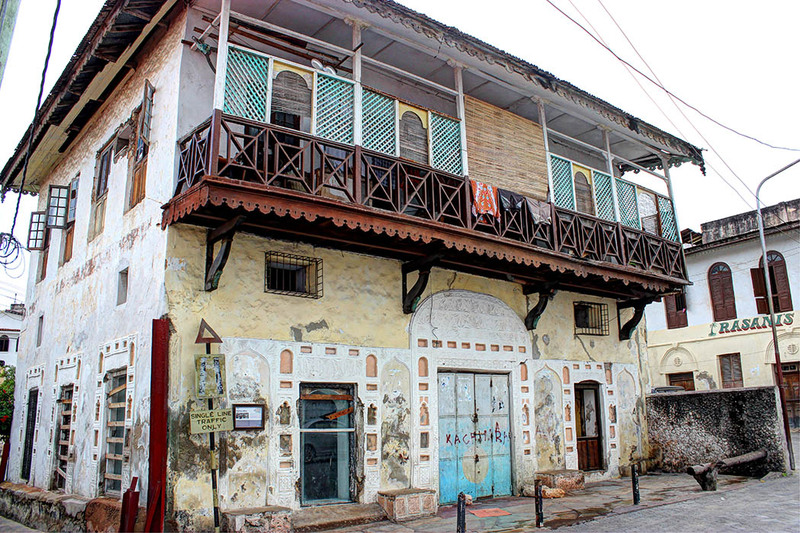 This house is a Mombasa Traditional House with a carved wooden balcony that is two storeys high. At the first floor, the balcony has a geometrical design but at the top floor it is closed with wooden shutters. The balcony is completely covered by the roof. Fine curved brackets support it: they reveal an Indian influence in the use of vegetal designs. 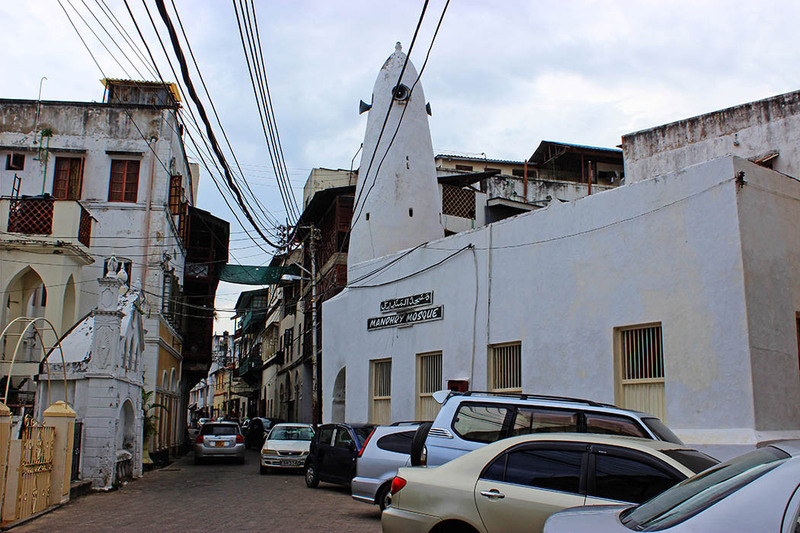 Mandhry mosque is the oldest mosque in Kenya. It was built in 1507 and expanded in 1988. Right opposite the mosque is a fresh water well. 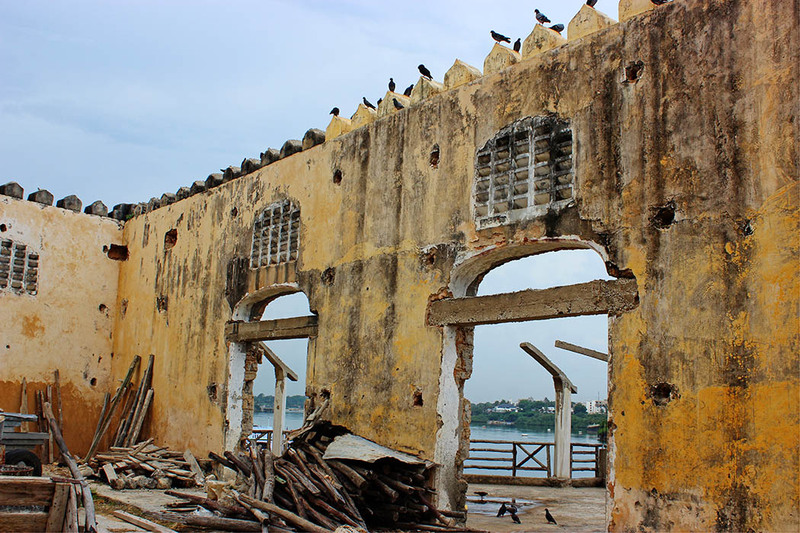 There is lots more to Old Town, I was only able to cover a small section near Fort Jesus. By the time I visited (December 2014) there had been some security issues and my guide advised me that it would be unsafe to walk to some areas while carrying my camera. 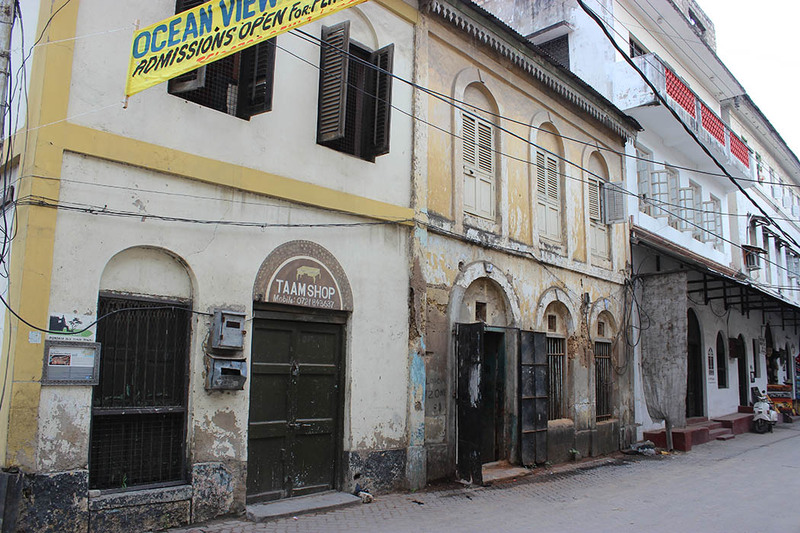 The information about the buildings pictured is from plaques put up by the National Museums of Kenya. The beauty of this place, is the old and rustic feel of the place. Has so much charm! The photos are tremendous; makes me feel like I’m in Mombasa right now. So big, so colorful…..well done! What a wonderful tour of the Old Town! I love how charming it looks and all those historic buildings and especially the doors. Those doors are so fascinating. Stunning photos and thanks for all the great information. Rachel. I have not read much on Mombasa before, and you have convinced me that I now need to go. What a gorgeous place! Love your photos! 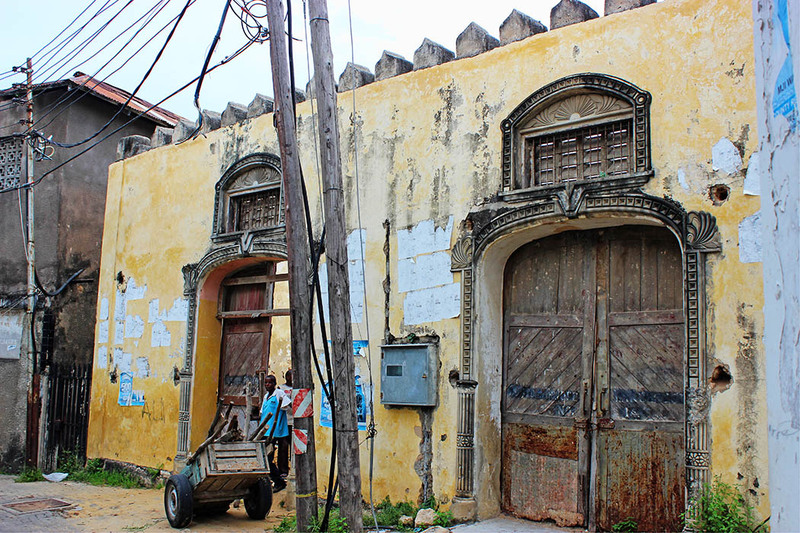 Wow – the old town sure is a faded beauty! What gorgeous shots. Such lovely pictures. You can see the Arabic influence also . Love the old and the new, sort of reminds of Mexico in some parts. I look forward to seeing this some day. 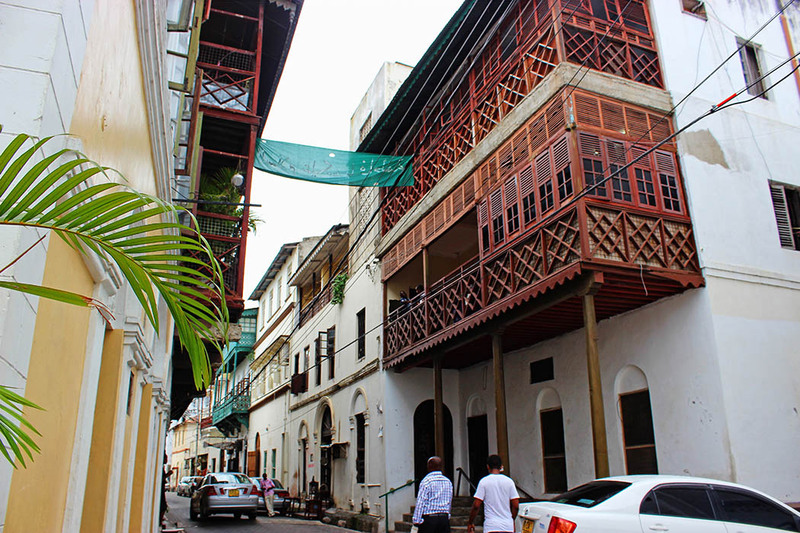 There is a lot of Arabic influence in Mombasa, it is home to alarge Arab community. You do need to visit, you’re always welcome here. yap its true. 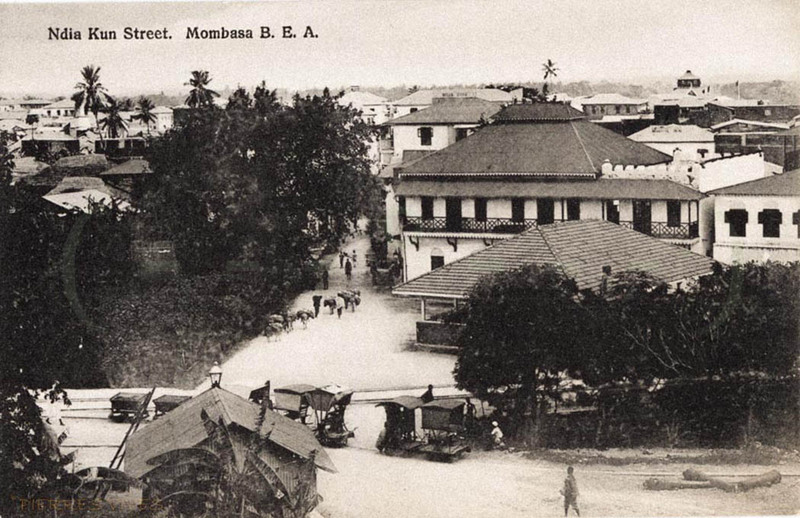 The arabs were in mombasa before portuguese arrive. I love the way colour on the buildings and the clothes of the women brings brightness to the scenes. The White House or Obama House brought a smile to my lips. Old town is a great place, but some of the buildings need to be restored or something to make them look better. The security situation must also be addressed. I cant imagine guides charging 1500/= for a place you can explore by yourself. He was being ridiculous and I think he knew it. I just laughed and moved on to someone else. It looks like an amazing town to explore. I would love to stroll down the streets there! It definitely is, I usually make a point to go everytime I am in Mombasa. 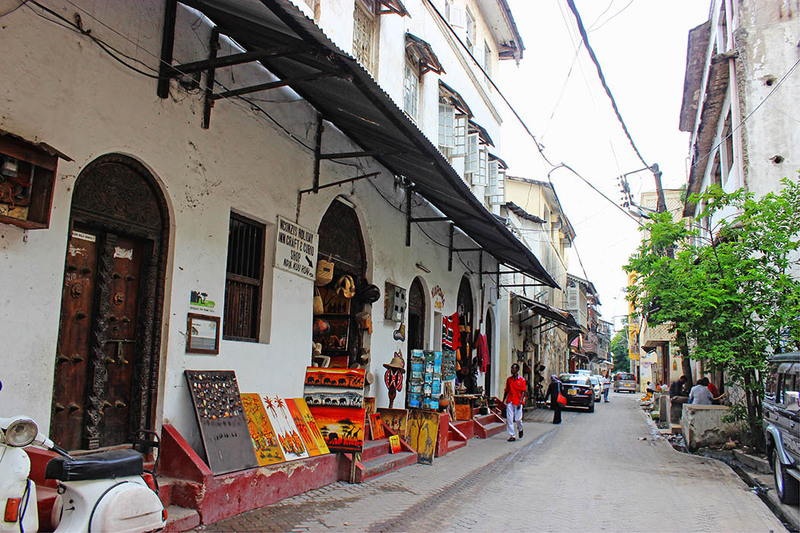 Hi Rachel, I love the old world charm of Old Town Mombasa. I enjoyed virtually walking those streets through your lovely photos and I liked the feeling the I stepped back in time. The architectures are exquisite and the history so interesting. The whole town looks like an outdoor museum. Beautiful post. Looks stunning… I love these kinds of places, reminds me of Fort Cochin in India. 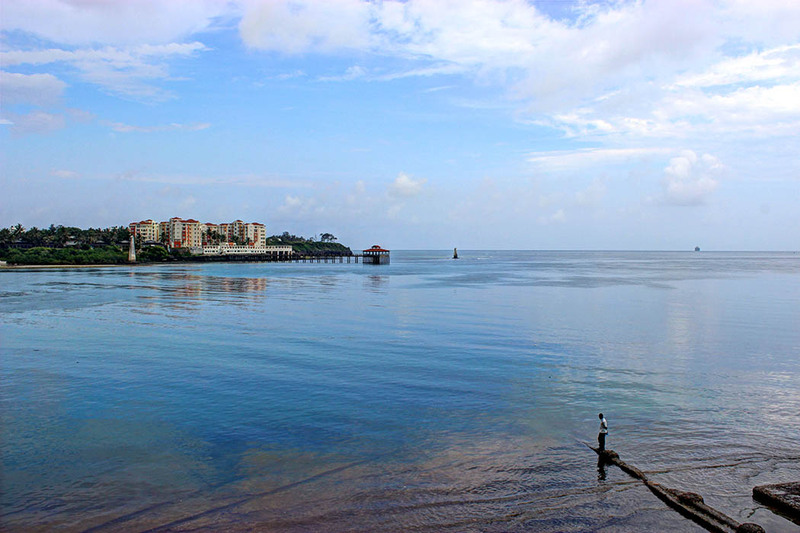 I’d love to visit, I was aware Mombasa had amazing beaches, but didn’t know about the town! 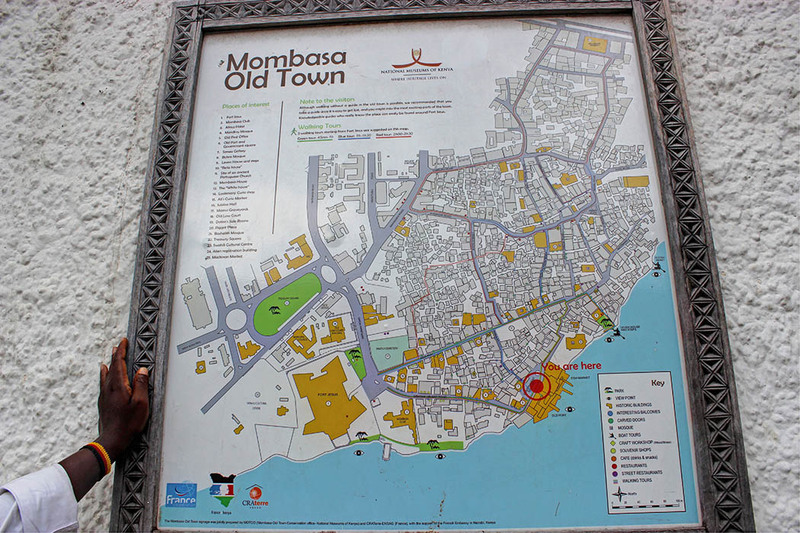 Mombasa looks like an interesting city. Love all the balconies! 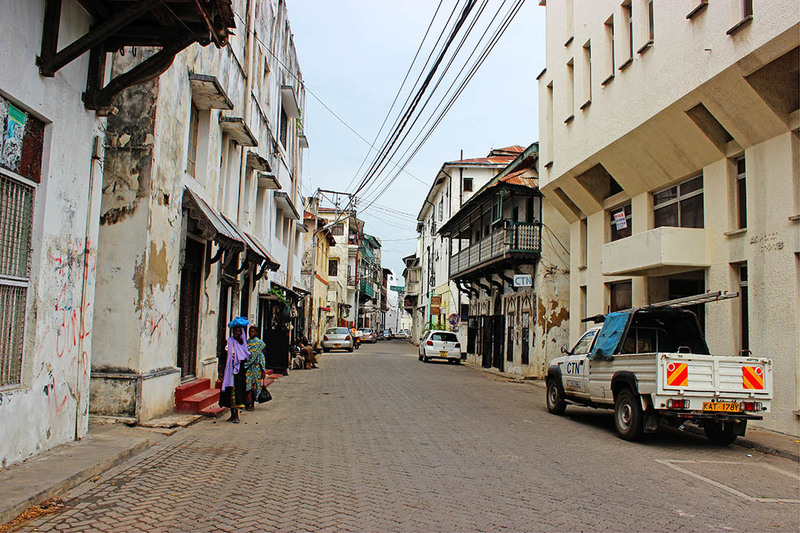 Mombasa reminds me of Stone Town in Zanzibar! I’ll be visiting Kenya next month and am having a tough time deciding if I should stay in Stone Town or Diani. Is it worth doing both? Would love to link up if you’re in Nairobi! I am in Nairobi. Emailing you in a bit. I’m glad I stumbled upon this post. I didn’t know practically anything about Kenya except for the stories my mother-in-law tells of living in Nairobi in the 1960s. This is a lovely town. I can’t get over those carved doors and balconies, they’re so beautiful! They’re my favourite thing. if I ever have my own home I would love to have some carved doors.